He has high blood. He doesn't like to take maintenance medicine for high blood. His option is to try supplements that can help him with his headache. 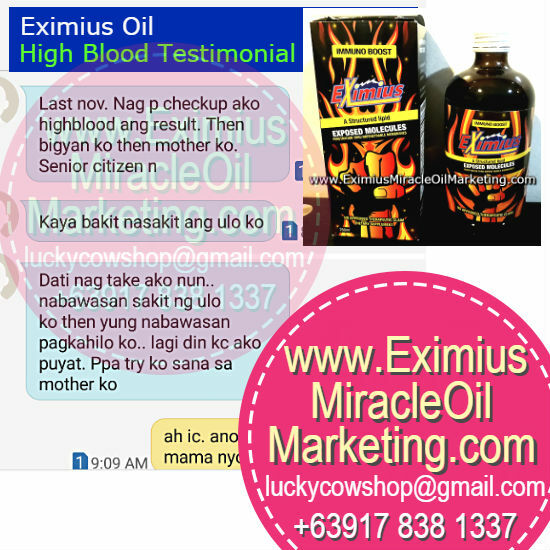 Eximius Oil was able to help him. He's buying more, and plans to make his mother take Eximius Oil too. Here's what my buyer told me, translated to English (roughly translated). "Last November, I had a check-up. The result is high blood. I plan to give to my mother, a senior citizen. That's why I have a headache. 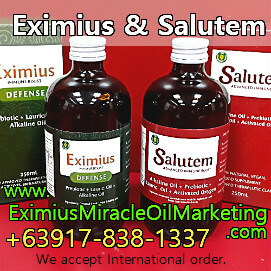 Before I take it (Eximius Oil). The headache is lessen, then then dizziness is lessen too. I do sleep late at night. I would like mother to try this." If you know anyone who needs support on their help, do refer this product to them.